Boys overlooking the Mosul dam. This dam is now in the hands of Kurdish Peshmergas. The front line is only a dozen kilometers away. In the hospital of Semeel there's a shortage of medicines. Doctors work overtime to treat patients. IDP camp Bersive 1 close to Zakho, in the North on the Turkish border. 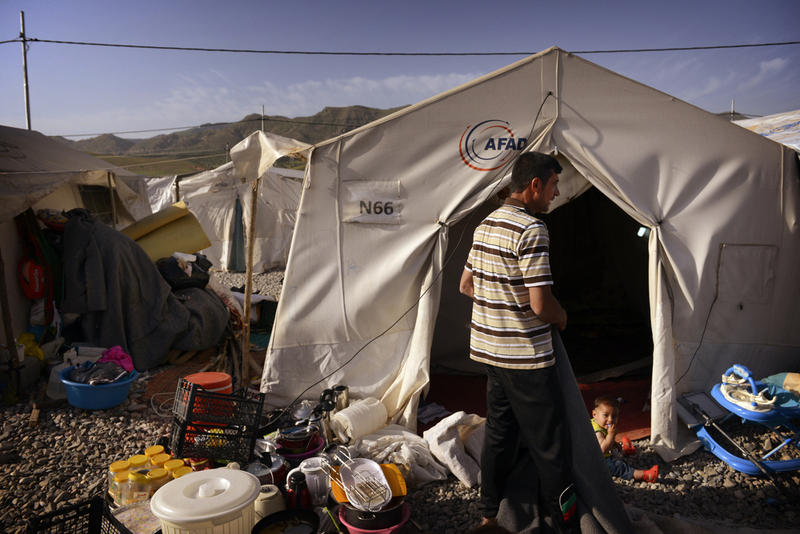 This camp accommodates 12.000 people, from which approximately 70% are Yazidis. Some of them took their car, even though they often don't have money for gas. Some Yazidis brought props to profess their faith. Little bags or cloths contain holy water. Every morning and evening, Yazidis pray to their supreme being: the holy Peacock Angel. Just like Nouri Ali does here. Shirin Azam Galat, 63 years old, lives alone in the Bersive 1 camp. Some Yazidis fled from IS and took their car. They sometimes took up to 16 people with them in one vehicle. 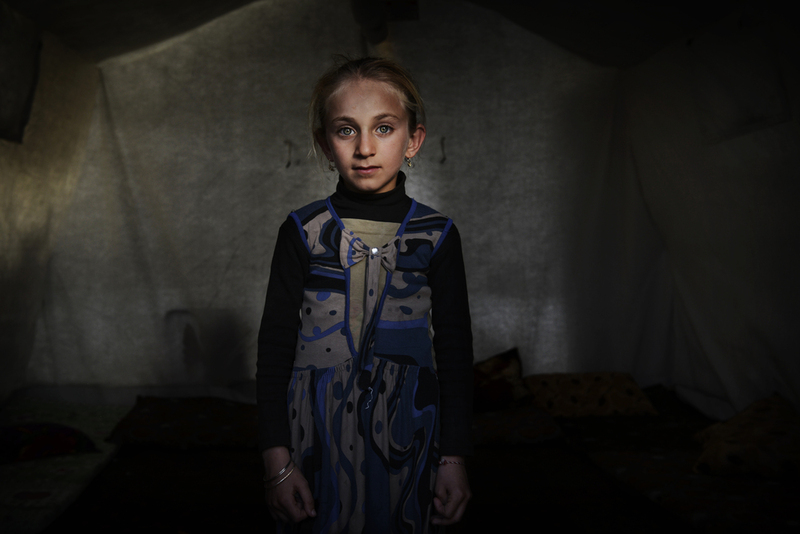 Hadya is 8 years old and dreams of becoming a teacher, just like her father. She does not go to school. 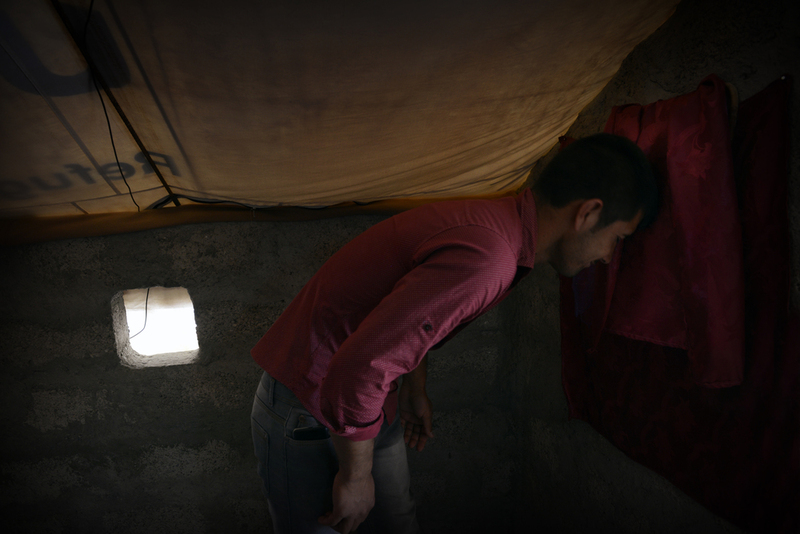 Bassam is an 18 year old Yazidi, who has lost his family. From time to time, he receives messages from his mother only. She has been captured by IS. Bassam doesn't know where his other 17 family members are. He fears the worst. In the village Shekhan in northern Iraqi Kurdistan, fled Yazidis live in still under construction homes. 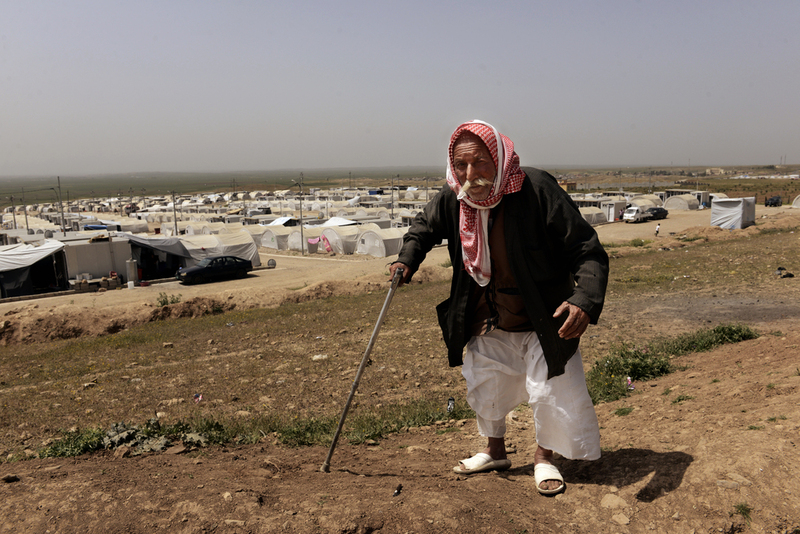 Almost 1 million Yazidis found refuge in Iraqi Kurdistan after they fled from IS. Most of them arrived from the Sinjar Mountains, but some were Christian or Muslim refugees. In the village Old Sharia in Northern Iraqi Kurdistan, 38 people live in an unfinished building.